For the three years Shadow spent in prison, all he wanted was to get back to the loving arms of his wife and stay out of trouble for the rest of his life. But days before his release, he learns that his wife has been killed in an accident, and his world becomes a colder place. On the plane ride home to the funeral, Shadow meets a man who calls himself Mr. Wednesday, a self-declared grifter, who offers Shadow a job. Shadow, a man with nothing to lose, accepts. But he soon learns that his role in Wednesday's schemes will be far more dangerous than he could have ever imagined. American Gods is a dark and kaleidoscopic journey deep into myth and across an America at once eerily familiar and utterly alien. Magnificently told, American Gods is a work of literary magic that will haunt the listener long after it has been heard. 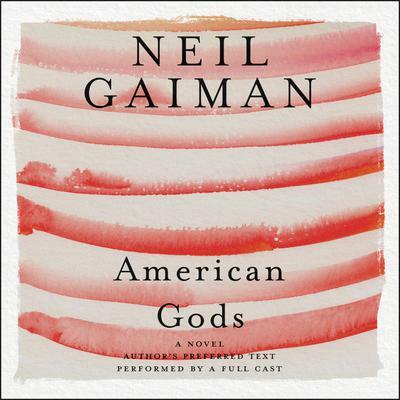 Neil Gaiman is the #1 New York Times bestselling author of more than twenty books for readers of all ages, and the recipient of numerous literary awards, including the Shirley Jackson Award and the Locus Award for Best Novelette for his story "The Truth Is a Cave in the Black Mountains." Originally from England, he now lives in America.